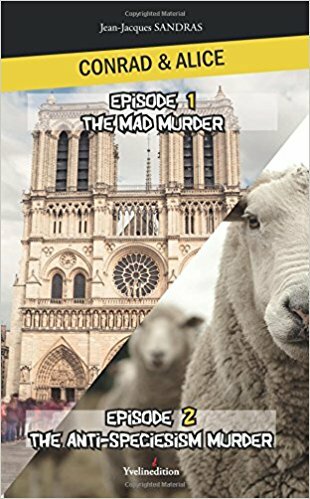 Here are the first two episodes concerning criminal investigations in Paris by Alice, a twenty six year old French psychologist, and Conrad, a South African pensioner in his late sixties. - In the first episode Marie, a young art student, is murdered in her apartment. Her art teacher’s wife, Linda, is the prime suspect because Marie was her husband’s mistress. Alice calls upon Conrad to help her prove that Linda, who is one of her patients, is innocent. The two investigators set off on what is initially a wild goose chase that ends up by bringing the guilty party to justice. 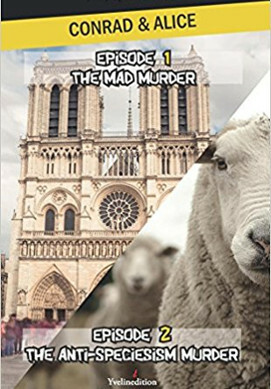 - In the second episode Rita, a fervent vegan activist, is suspected of murdering Sylvie, a journalist who frequently published articles deriding veganism. Alice calls upon Conrad to help prove that Rita, who is one of her patients, is innocent. Once again the two investigators set off on what is initially a wild goose chase that ends up by exposing the guilty party to justice. The Series "Conrad and Alice, crime investigators"